born March 27, 1797, Loches, Fr. poet, dramatist, and novelist who was the most philosophical of the French Romantic writers. Vigny was born into an aristocratic family that had been reduced to modest circumstances by the French Revolution. His father, a 60-year-old retired soldier at the time of his son’s birth, was a veteran of the Seven Years’ War; and his maternal grandfather, the Marquis de Baraudin, had served as commodore in the royal navy. Vigny grew up in Paris and took preparatory studies for the École Polytechnique at the Lycée Bonaparte, where he conceived an “inordinate love for the glory of bearing arms,” a passion common to the young men of his generation. Attached to the monarchy by family tradition, he became a second lieutenant in the king’s guard when the Bourbons returned to power in 1814 and when he was only 17 years old. Though he was promoted to first lieutenant in 1822 and to captain the following year, the military profession, limited to garrison duty rather than pursued on the battlefield, bored the young officer, who preferred the adventures of a literary career. After several leaves of absence, he abandoned military life in 1827. In the meantime, he had published his first poem, “Le Bal,” in 1820. Two years later his first collection of verse was published as Poèmes, along with contributions to Victor Hugo’s politically conservative literary periodical La Muse Française. Salons and reviews in Paris hailed the birth of a poet who combined grace with a strength and depth that was totally Romantic. Vigny’s expanded version of Poèmes under the title Poèmes antiques et modernes (1826) was also a success. Vigny, however, was not content to excel merely in poetry, and he revealed his narrative talent in Cinq-Mars (1826), a historical novel centred around the conspiracy of Louis XIII’s favourite, the Marquis de Cinq-Mars, against the Cardinal de Richelieu. Cinq-Mars was the first important historical novel in French, and it derived much of its popularity at the time from the enormous vogue of the novels of Sir Walter Scott. 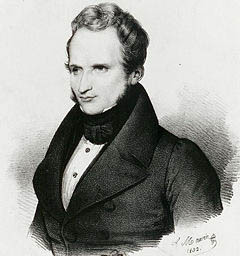 Vigny also showed a typically Romantic interest in William Shakespeare, freely adapting Othello (Le More de Venise, first performed 1829) as well as The Merchant of Venice (Shylock, 1829). During these years Vigny was regarded as a literary leader of the Romantic movement in France. The Romantic poet Alphonse de Lamartine recognized his talents, and Hugo and Charles Sainte-Beuve treated him as a friend. Vigny and the writer Delphine Gay, the “muse of the country” as she was called—for her beauty as well as her literary talents—formed a striking couple before his marriage in February 1825 to Lydia Bunbury, daughter of a wealthy Englishman. By 1830 Vigny’s temperament had become more sombre. The July Revolution engendered in him a political pessimism inspired by the repeated faults of the French monarchy, an issue that had become evident already in Cinq-Mars. As a point of honour he, like Chateaubriand, sought to remain faithful to the monarchy, but he did not conceal the fact that the cause of the Bourbon king Charles X was worth no more than that of Louis-Philippe, who had been placed on the throne by the moneyed bourgeoisie. He searched unsuccessfully for a political creed and studied every shade of opinion without giving his allegiance to any. From this time on he closely followed current affairs, grasping them with a clarity that was at times prophetic, though his overt political activity remained erratic. He acknowledged his disillusionment as early as 1831 in “Paris,” a poem of a new genre that he termed élévations. He felt all the more tormented, for he could no longer count on the religious faith of his childhood. His feelings on this score are evident in another poem (1832) in which he contemplated suicide: “And God? Such were the times, they no longer thought about Him.” The only thing left for him to doubt was love itself, a trauma he painfully experienced in the course of his liaison (1831–38) with the actress Marie Dorval, for whom he was to create the role of Kitty Bell in the play Chatterton in 1835. He accused Dorval of deceiving him and of having maintained an overaffectionate friendship with the writer George Sand. His relationship with Dorval left Vigny profoundly embittered. In Stello (1832) Vigny put together a series of consultations, or dialogues, between two symbolic figures: Doctor Noir (the Black Doctor), who represents Vigny’s own intellect; and Stello, who represents the poet’s desire for an active part in the public arena. In seeking to preserve Stello from the dangers of his imprudent enthusiasm, Doctor Noir tells him three anecdotes. In these three short stories Vigny examines the poet in his dealings with political authority: the levity of Louis XV condemns Nicolas Gilbert to die in privation; the fanaticism of the republican tyrant Robespierre leads André Chénier to the scaffold; the egoism of William Beckford, lord mayor of London, provokes the suicide of the poet Thomas Chatterton; all political regimes inflict on the poet the harshness of “perpetual ostracism.” What then is this evil malaise? Vigny questions himself on the nature of it. He submits Stello to a sort of psychoanalytic examination, as confided to Doctor Noir. 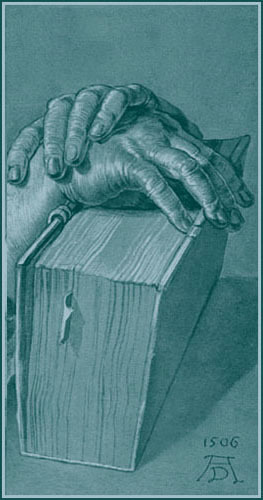 After having listened to Stello, the doctor prescribes a remedy of “separating poetic life from political life” and advises the poet against direct involvement in politics in order to preserve the dignity of his art and escape the horrible cruelties that characterize every kind of fanaticism. Vigny adapted the part of Stello dealing with the suicide of Chatterton into a prose drama in three acts, Chatterton (1835). In presenting the last moments of Chatterton’s life, he exalts the nobility and suffering of a misunderstood genius in a pitiless and materialistic society. The triumph of Vigny’s career as a playwright, Chatterton remains one of the best Romantic dramas. It is far superior to La Maréchale d’Ancre (first performed 1831) and expresses Vigny’s melancholy genius more seasonably than does his spiritual comedy Quitte pour la peur (first performed 1833). Vigny’s novel Servitude et grandeur militaires (1835; “Servitude and Military Greatness”; Eng. trans. The Military Necessity) is also a consultation. The book’s three stories, linked by personal comment, deal with the dignity and suffering of the soldier, who is obliged by his profession to kill yet who is condemned by it to passive obedience as well. The first and third stories in this volume are Vigny’s masterpieces in prose, and the third story’s portrait of Captain Renaud, an old Napoleonic soldier, is a profound portrait of human greatness. Vigny began another ambitious consultation dealing with the religious prophet, but only one story, Daphné (published 1912), about the Roman emperor Julian the Apostate, survives. Vigny’s consultations enlarged upon his philosophy, formulated theories about the fate of man, and defined the principles that he thought should govern human conduct. To give these ideas the finish they required, he turned again, between 1838 and his death, to poetry, slowly composing the 11 poems that were later collected under the title Les Destinées (1864). The early poems are very pessimistic, but the later ones are increasingly confident affirmations of the imperishable nature of human spiritual powers. In middle age Vigny gradually withdrew into a curious silence and retired, according to the famous expression of Sainte-Beuve, to an “ivory tower.” He rarely went out, preferring the calm of his country manor to the excitement of Paris. In 1841 he stood as a candidate to the Académie Française, but he was elected only in 1845, after five checks, and was received there with a perfidious speech by Count Molé. His wife, Lydia, whose longtime invalidism had caused him constant anxiety, died in 1862, and Vigny himself died of cancer of the stomach after much suffering the following year. He left several unedited works whose posthumous publication enhanced his reputation: Les Destinées, Le Journal d’un poète (1867), Daphné, and Mémoires inédits (1958). It is Les Destinées above all that has earned Vigny his reputation as a philosopher-poet. His work is a poignant plea against all that is inhumane in the forces that rule the world: expedience (Cinq-Mars), governments and the mob (Stello and Daphné), and the treacherous love of women (“La Colère de Samson”). Vigny is particularly critical of the equivocality of Providence, which is silent in the face of suffering (“Le Mont des Oliviers”) and as coldly insensitive as nature (“La Maison du Berger”). Vigny’s belief in God is just strong enough for Vigny to reproach him. As a tormented skeptic, he proposes that strictly human values—honour, pity, and the love of beauty—should be adopted. His last poem celebrates the apotheosis of a Holy Spirit (“L’Esprit pur”) that is essentially human and takes over the place of God. It would be unjust, however, to regard Vigny solely as a philosopher. His literary creations spring less from a system of thought than from a spontaneously tragic conception of existence. Thwarted love, unrecognized goodwill, humiliated greatness, the tormented conscience of the soldier who detests war but fights on energetically—these are more than just general ideas: they express a wounded sensitivity and a soul torn by moral scruples. Under the anonymous cloak of symbols, Vigny extends to the whole of humanity his own conflicts and agonies, and his work is an effort to resolve them. Therein lies the poignancy of his work.